In Sweden, which seems to have dusted off its historical image of Russia as an archenemy, talks about the imaginary Russian "threat" have almost become a platitude. Amid the Swedish media's paranoia about the fictitious Russian influence over Swedish parties, the Green Party has found a way to counter Russian "aggression." In September, the Sweden Democrats (SD), who happen to be Sweden's only real opposition party, were accused of having Russian connections as a result of the fact that a party member, known by his Russian-sounding pseudonym Egor Putilov, himself of Russian origin, made a profitable property deal with a businessman in St. Petersburg. This stirred an animated media campaign, in which anti-immigrant SD was effectively stigmatized as "Russian agents" and "Putin's useful idiots." 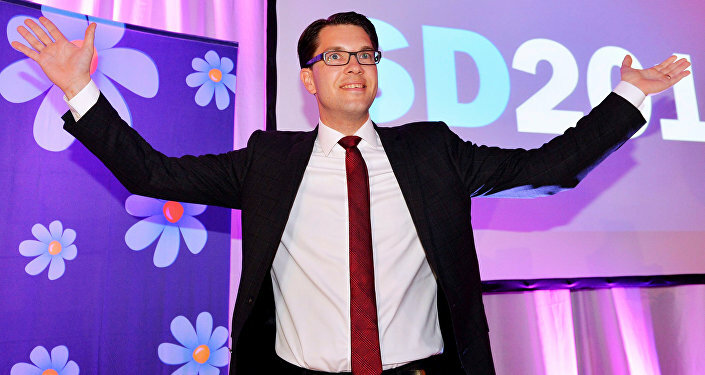 "Sweden Democrats' ties to Russia may seem strange, since the country is, after all, Sweden's historical archenemy and the only country that can threaten us militarily," the Swedish tabloid newspaper Aftonbladet's columnist Anders Lindberg wrote. "Russia buys individual agents, frequently businessmen, who through commercial activities become rich themselves," senior Swedish economist Anders Åslund at the Atlantic Council and former economic council to Russian ex-President Boris Yeltsin, told Aftonbladet. Given Sweden's invariable fear of Russia, which is bordering on paranoia, it is only natural that means to defuse Russian "influence" have soared on Swedish parties agendas. Sweden's Green Party, which is currently part of the ruling coalition with Social Democrats, advocates the use of renewable energy as a way to parry the Russian "threat." According to Green Party spokesman Gustaf Fridolin, renewable energy in practice makes it more difficult for Russian President Vladimir Putin to bolster his influence over Europe. Fridolin regards Russian pipelines to Europe, such as Nord Stream 1 and 2, as "Putin's power instruments." Accordingly, a "greener" energy policy would reduce Europe's dependence on Russian fossil fuels and thus automatically decrease Russia's influence. "This [the Russian influence] comes from playing with extremist parties, we have seen far too many examples of it. Furthermore, the dependence on Russian oil and Russian gas is far too big. There has even been talk of Russian uranium in Europe. In reality, renewable energy is something that actually resists Putin," Gustaf Fridolin told Swedish news outlet Nyheter Idag. "I do not think it is something that politicians should speculate about, but on a higher plane, we see Russia's tampering with extremist parties in Europe," Fridolin concluded. 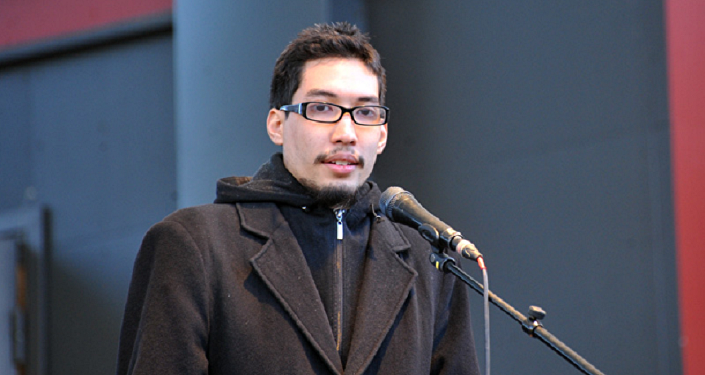 In the 2014 general election, the Greens received 6.9 percent of the vote, making the party the fourth largest in Swedish parliament and entering the government for the first time. However, the party has been continually losing ground in the course of the year amid scandals and Islamist accusations. According to Lars Nicander, the director of the Centre for Asymmetric Threat Studies at the Swedish Defense University, the Green Party was "infiltrated by Islamists," the Swedish tabloid newspaper Expressen reported earlier this year. Recent polls suggest that the Green Party has actually sunk beyond the four-percent threshold and would not make it to parliament, had there been a general election.